Rosebud & McCrae Lifesaving Club is nestled amongst the ti-trees on a secluded pocket of the Peninsula. Its sandy beaches and calm seas make it a popular swimming destination for locals and visitors to enjoy. 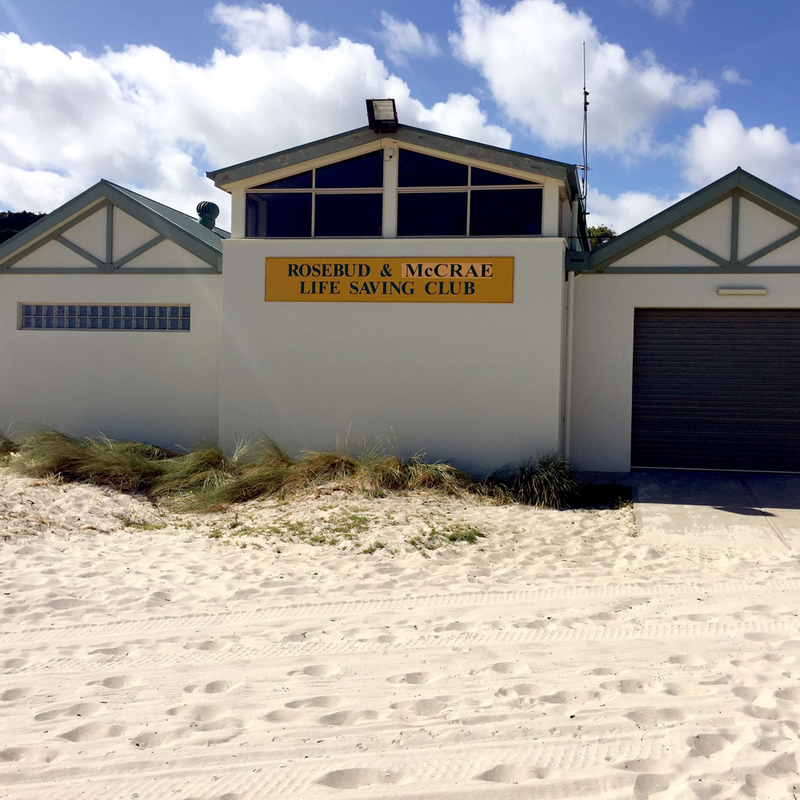 Rosebud & McCrae Lifesaving Club is part of a vast network of Life Saving Clubs that patrol the states coastal and inland waters to provide a safe and enjoyable aquatic experience. The lifesaving network extends from Mildura in the north, to Mallacoota in the east and Portland in the west. Over 30,000 volunteer club members are a part of this network. When Rosebud & McCrae members are not uphold the high standard of lifesaving patrol, they enjoy access to the additional club activities and lifesaving competition. Our competition team (Masters, Seniors, Boaties, IRB and Junior) has experienced considerable success in the competition arena, boasting numerous State and National Champions, in a range of disciplines. The club has a strong surf boat history and culture and has competed and succeeded at many local and interstate events. The welcoming and friendly feel of the club means that it doesn’t take newcomers long to feel like they are part of the club. Members join and are able to participate in a variety of activities: some join to pursue their sporting or competitive ambitions; others join to make new friends and keep fit and others enjoy the rewards of lifesaving and giving back to the community.